RESCHEDULED: Now on Tuesday, December 11 at 6:30 PM join us in our new Owens Worship and Fine Arts Center to celebrate Christmas. See the art students recent work. 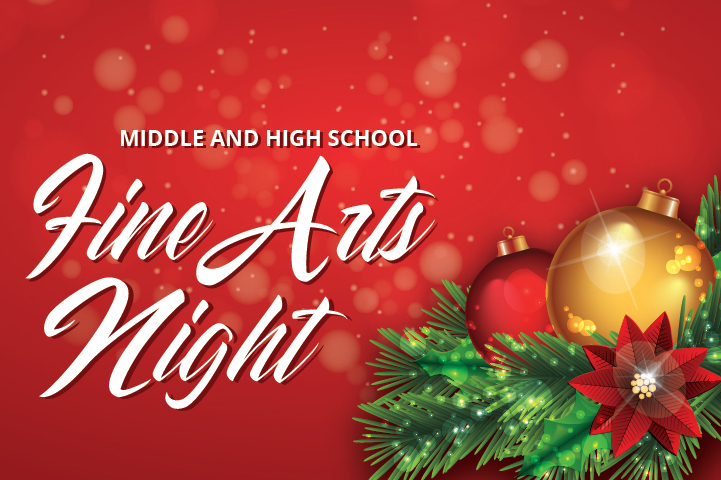 Hear the music of the Middle School Band, Middle School Chorus, GCS Praise Band, Honors Ensemble and High School Band. Enjoy a parody of A Christmas Carol by the Drama Players along with our first dance performance of Gabriel’s Message.